One of the golden rules of SEO is that you have to optimize each and every page of your site individually. On-site optimization includes conducting keyword research based on the content of a page, writing a unique title tag and Meta description that reflect the content, developing a custom URL for each page, creating H1 and H2 tags to break up the content and more. Even for a small site, this can be a time consuming and drawn out process. That is why many e-commerce sites are never fully optimized. When a site owner or web developer has thousands of product pages to shift through, many become tired and bored with the process and eventually give up. 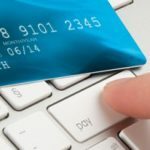 Don’t give up on your e-commerce site! Yes, optimization can be very tedious and time consuming, but it is so important for your SEO. The search engines don’t rank sites as a whole, they rank individual pages. Unlike other sites, the homepage of an e-commerce site isn’t usually the entry point for visitors. They often arrive on the site through one of the many product pages. It is also important to start with the best ecommerce solutions available, with minimal SEO limitations. Manufacturers write generic product descriptions for their products that get used on dozens of smaller e-commerce sites all across the web. If you are using the same product descriptions on your e-commerce site, why would anyone choose your site over another? You aren’t offering any reason to convince consumers to buy from you. Rewrite the description to include your unique selling proposition. You also have to consider that by using the same product description as everyone else, you are filling your site with duplicate content. Duplicate content is frowned upon by the search engines and your site could end up being penalized. If your e-commerce site has hundreds or thousands of pages, don’t wait until all of them are optimized before you start rolling out the improved pages. Determine which product pages are the most profitable for your business (most popular and/or highest return) and optimize those first. You can roll the rest of your newly optimized pages out in batches. Coming up with hundreds of unique Meta descriptions can be very frustrating and time consuming. After all, there are only so many ways to say “Shop online for our X product or call today!” To save yourself some time and heartache, start your optimization process by writing 30-50 (more or less depending on how big your site is) varying Meta descriptions and title tags. You can insert product keywords on a page-by-page basis. Pick a different template for each page to avoid being labeled a spammer. This can make the optimization process move along much faster. A major problem with many e-commerce sites is a lack of content. Aside from the product description and maybe a sentence or two with a call-to-action, what else are you putting on that page? A consumer review not only gives the search spiders more content to work with, but it also adds a trust element to your site. Shopping online is a very social activity. Potential customers want to know what previous buyers thought about your products. Having those consumer reviews on your product pages assures them they are making the right purchasing decision. 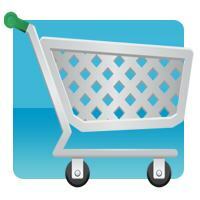 You want to make it easy for visitors to navigate your site and fill up their shopping carts. A horizontal linking structure links from page to page to page across your site. This means that someone looking to buy a pair of jeans can easily click over to pair of shoes or jacket they might also be interested in purchasing. 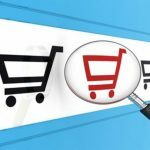 Having a “customers who bought this also bought” type section keeps visitors involved with your site and may encourage them to purchase more items. You don’t want to make your visitors go all the way back to the homepage to start looking for a different product. This detracts from the overall user-experience and they may just leave all together.